Welcome to Drake’s Auto Parts, serving The Berkshires and beyond with all your new and used automotive needs. We are a family owned business, located just 1.5 miles off the Massachusetts Turnpike, in Lee, MA. 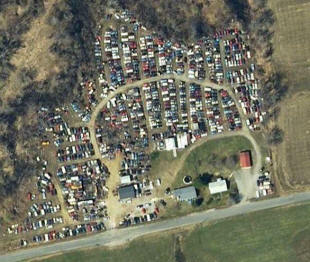 We specialize in late model salvage parts, plus pre-owned cars and trucks in Berkshire County. In addition, we offer a Nationwide parts locator service and …yes we do ship! Need used auto parts, in or out of the Berkshires ...Call Drake's Auto Parts Today! Drake’s Auto Parts is open Monday through Friday 8-5, Saturday 8-12, closed Sunday.